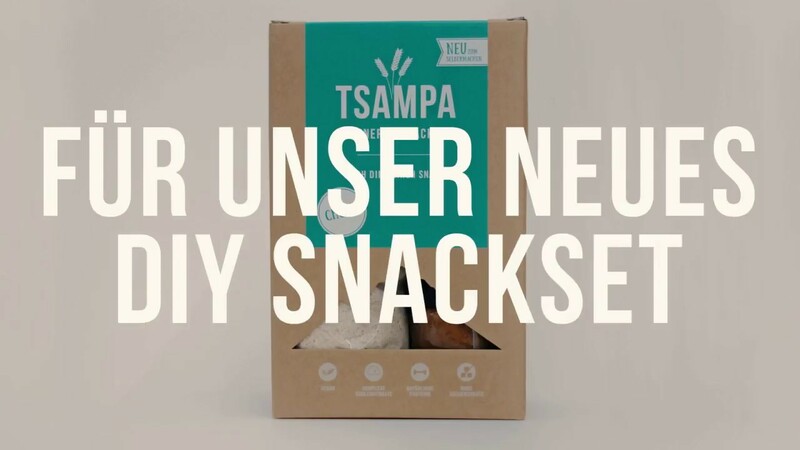 After the Berlin start-up TSAMPA successfully introduced the barley again to the German foodies with the TSAMPA bars, we developed the TSAMPA Snack Flour: our immediately edible cookie dough made of roasted barley for your own snack ideas. You want to make a healthy snack, but do not have much time for it? Whether for work, as an energy snack before training or on the go: with the TSAMPA Snack Flour can you prepare homemade bars or power balls in less than 10 minutes. Simply place the flour in a bowl, add a binder (eg rice syrup) and a nutmeg (eg almond paste), knead the ingredients until a firm dough is formed and form the individual snack. Et Voilà! Also your own favorite ingredients can be added. What made the barley a perfect snack basis? It is rich in fiber and thus supports satiety. Long-chain carbohydrates also ensure a balanced energy supply. This makes TSAMPA particularly attractive for health-conscious people, who pay attention to high-quality ingredients and a balanced diet. TSAMPA products are also vegan, bio and additive free. Incidentally, the roasted barley flour Tsampa is the favorite dish of the Dalai Lama, the power food of the Sherpas in the Himalayas and thus the perfect companion for adventurers and city nomads. Convince yourself of the power of barley at our stand in Hall 9, number 373!